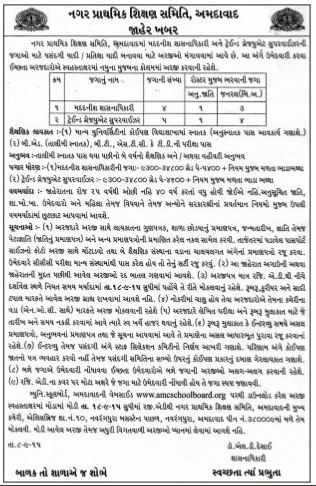 Ahmedabad City Primary Education Committee invite application form for filling up Assistant Officer and Trained Graduate Supervisor post vacancies. Eligible candidates send their application on or before 18-09-2015. Application form available at official site amcschoolboard.org More Details like post name, qualification, age limit, pay scale, how to apply are given below.